Teaching your dog some tricks is fun and great way to build the bond between the two of you. Some tricks also improve your dog’s musculoskeletal wellbeing by stretching muscles and increasing flexibility. Here are two easy tricks you can teach your dog today. shoulder muscles, particularly the triceps muscles at the back of the forelimbs. How to teach your dog to bow? With a tasty treat in your hand, hold your hand close to the dog’s nose. Slowly lower your hand downward and slightly backward between the dog’s front legs. When the dog’s elbows touch the ground, give the treat and praise your dog. As your dog becomes more proficient, you can ask them to hold the bow position a little longer before you release the treat. Try and keep your dog’s head up, so they get a good stretch through the shoulders. Why teach your dog to twirl? 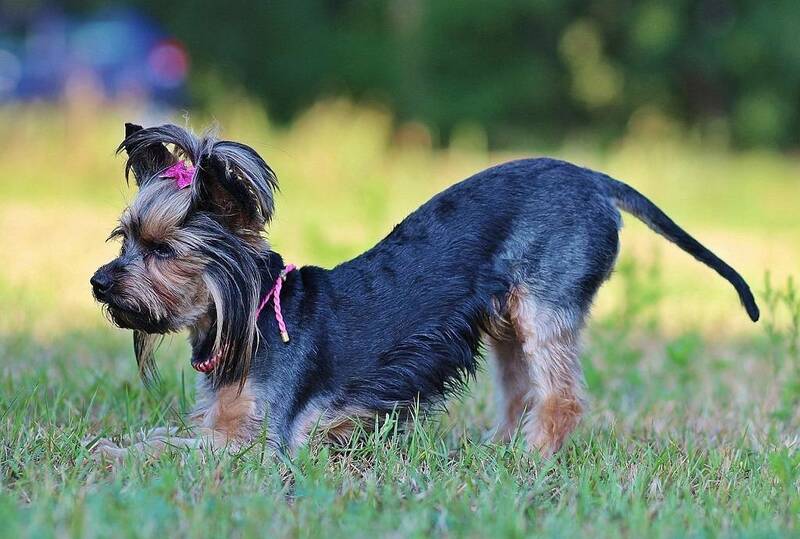 A twirl is a great exercise to stretch your dog’s back and abdominal muscles. These muscles support the vertebrae to enable limb movement. They also stabilise the dog as they move, and flex and extend the torso as the dog gallops. For active dogs or those dogs that don’t move normally due to an injury or condition like arthritisof hip dysplasia, their back and abdominal muscles can easily be strained. Regular stretching is beneficial to relieve muscle tension. Optimally, teach your dog to twirl to the left and right, so muscles on both sides of the body are stretched. How to teach your dog to twirl? With your dog standing at your side, take a tasty treat in the hand closest to the dog. Place the treat on your dog’s nose and move your hand away from you, so the dog’s head turns away from you. Repeat three times. Now, using the treat, lure your dog’s nose toward their tail. When the dog’s head starts to move toward their tail, give them the treat. After a few repetitions, your dog will be able to do a full circle and come back to your side before you give them the treat. Once you and your dog are proficient, then remove the treat from your hand. Ask the dog to do the same repetitions but just following your hand. Have a treat ready in the other hand to quickly pass across to your dog. Remember to practice on both sides, right and left. You can do a similar sequence with your dog standing in front of you.